As promised a couple of weeks ago, it's time to introduce most of you to the first exposure for Spaniards to Marvel comics. The time: 1969. The publisher: Ediciones Vértice. The format: Insane! 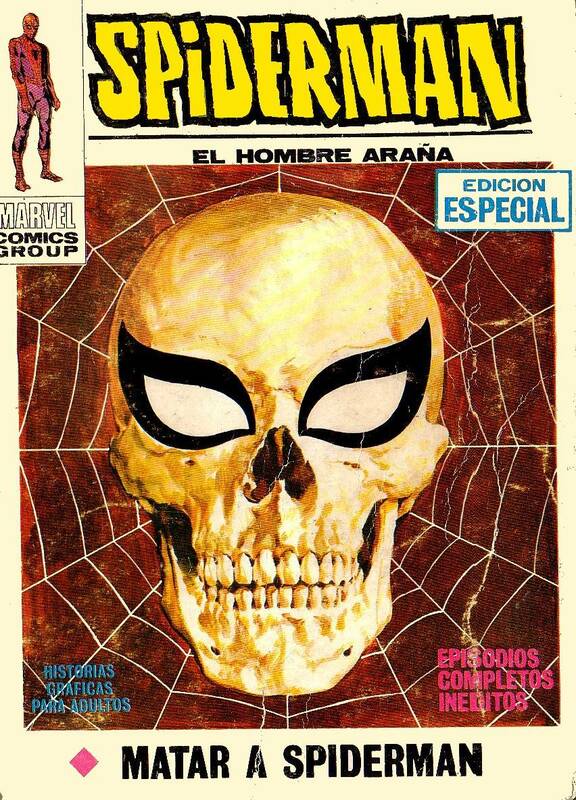 Ediciones Vértice had started publishing British comics for the Spanish market in 1964, including The Spider in 1967, which they confusingly decided to name Spiderman, possibly due to them not having the rights to Spider-Man yet. 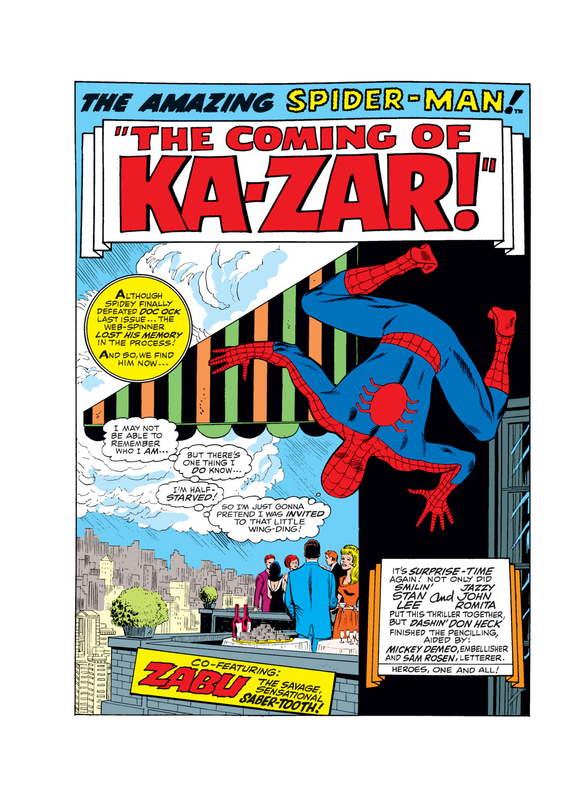 It would be renamed Spider in 1968, making way for the real Spider-Man (and the rest of Marvel's initial titles) series in 1969. If you are wondering, yes, it was really confusing to grow up in a home where there were 2 series called Spiderman (no hyphen) starring different characters. In any case, by 1969, Vértice had had some success printing foreign comics in Spanish and had a specific format for comics. Black and white 100+ page digest-sized comics with painted covers was their business. In the specific case of Marvel comics, every single one of their comics had a painted cover unique to this edition, so they are all pretty much what we refer to as Euro-Variants these days. Most of these covers were painted by López Espí, who has a website with tons more of his covers. I will also be using this as an example of the differences in the format we had to endure, because there were changes made to the art (and to the script, but that was mostly due to localization and bad translations), huge changes. I mean, you would speak a 126 page volume to have 5-6 US comics inside, right? But that's not the way things were done back then. They managed to squeeze a full volume out of 2 US issues (sometimes they would include a backup). How the — ? I hear you ask. The oldest trick in the book, they just made panels bigger by adding some art to it … I told you it was insane! Within the pages of the book with the beautiful cover above you could find Amazing Spider-Man #57 and #58, so let's take a look at the first couple of pages to see how the whole thing looked. Eagle-eyed readers might have noticed that the placement of the thought bubble has been moved and some of the art slightly retouched (Spider-Man's left leg is missing, the clouds have been redrawn, …), but nothing too serious compared to what's coming next. Insane, right? I know there are some other countries that did the same (Indian editions of Mandrake, for example), but at the same time, it allowed a couple of generations to discover the same comics twice: the Vertice edition and then the regular one. That's it for now. Hope you liked the article! If you did, let me know and I will do more like this … If you didn't, don't worry, next week we will be back to the regular format of Foreign Delicacies!!! Some really interesting history there. Love the detail in your article. Must have been tricky for the pencillers back in the day to add more art in the panels keeping with the same style as the original. I’m not artsy myself so maybe that’s pretty easy? Thank you Inigo! I agree with Nick, this is very interesting. I would have never known about this. Cool write up! Some nice information here. The term “reprint” for foreign editions is not accurate. No other collector market considers international variants as reprintings. A true reprint is when a book sells out and is reprinted in the exact form to supply the remaining demand. These are Spanish first editions that are unique and created for a specific market. The first volume of Ghost Rider books Vertice did has some great covers. They changed his costume colors and his motorcycle. Totally agreed, David … In fact I only used reprints in the title, which is weird. Changing it now! Nice. Pedro parker and Maria Juana.